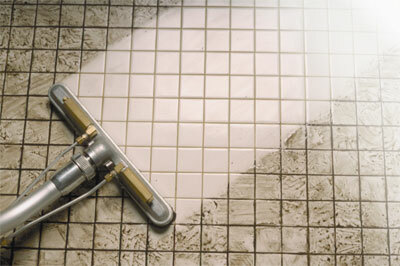 Royal Carpet Care is Long Island’s number one grout specialist!. In the 30 years that Royal Carpet Care of West Babylon has been serving our carpet-cleaning clients here in Long Island, we came to realize there were more types of flooring in need of cleaning, sanitizing and refreshing. One of them is tile and grout cleaning. Traditional mopping generally pushes and sets the dirt and grime into your grout and into the crevices of the tile itself. So, you go through the motions and remove some surface soling, but never get it all or remove it from the grout and tile crevices. Over time the color of the grout and tiles change as the soil builds up. When a member of our professional team comes in, the tile is thoroughly scrubbed, steamed and what a “lifetime” of grime that has pushed its way into your tile flooring is extracted. Once the cleaning of the tile and grout is completed, Royal Carpet Care will apply a sealer to the newly cleaned tile and grout, which will enable you to more easily and successfully clean and maintain your floor. Having Royal Carpet Care come in to thoroughly and efficiently get your tile flooring and its grout steam-cleaned and sealed will give you amazing results. You’ll feel like your floors are brand new again! Although we are located in West Babylon, we have residential and commercial clients throughout Nassau and Suffolk counties, and a great majority of them have rooms with tile and grout that have never been professionally and successfully cleaned before. For any questions you might have about tile and grout cleaning services, or to discuss pricing, call Royal Carpet Care today.